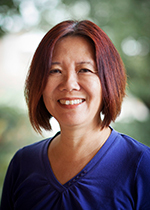 Ien Ang, is a Professor of Cultural Studies at Western Sydney University. Ien is Chinese and was born in Indonesia but her parents migrated to The Netherlands when she was 12. Her books, including Watching Dallas, Desperately seeking the audience and On not speaking Chinese, are recognised as classics in the field and her work has been translated into many languages, including Chinese, Japanese, Italian, Turkish, German, Korean, and Spanish. Her most recent books are The art of engagement: culture, collaboration, innovation (University of Western Australia Press, 2011, co-edited with Elaine Lally and Kay Anderson) and Cultural diplomacy: beyond the national interest (Routledge, 2016, co-edited with Yudhishthir Raj Isar and Phillip Mar). issues of representation in contemporary cultural institutions. She is a champion of collaborative cultural research and has worked extensively with partner organisations such as the NSW Migration Heritage Centre, The Art Gallery of New South Wales, The Special Broadcasting Service, the Museum of Contemporary Art and the City of Sydney. Professor Ang has had the title of Distinguished Professor conferred on her by Western Sydney University in recognition of her outstanding research record and eminence. She is the first person at the University to be conferred with this honour.